1 day event fee: $300.00/boat (cash/check) or $307.50/boat (credit cards), You must pay by Midnight the Monday before event to avoid $50 late fee. NOTE: We will NOT accept credit cards or checks at the event. We will only accept $350 in cash. NO EXCEPTIONS! Credit card purchases must be made online below. I choose to pay by check or cash. I understand that if my payment is not received by deadline above, I may be charged a late fee of $50. Please mail payment to: Rougefish Deux, Inc., 348 E. Honors Point Ct., Slidell, LA 70458. 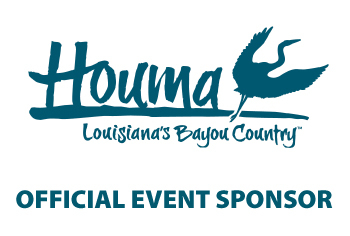 Please mail your payment by event deadline to Rougefish Deux, Inc., 348 E. Honors Point Ct., Slidell, LA 70458. All payments must be received by event deadline to avoid a $50 late fee. Make checks payable to: Rougefish Deux, Inc. and reference memo to event name and date.